A common operational picture (COP) is a single identical display of relevant (operational) information (e.g. position of units, personnel, position and status of important infrastructure such as bridges, roads, etc.) shared by more than one Command. A COP facilitates collaborative planning to achieve situational awareness. Within the JusticeConnect App a heartbeat containing GPS coordinates is sent back to the server for geolocation placement and mapping. This provides a mechanism for creating a COP view on the Dispatch Screen containing location data. Unit display data along with the iconology placement of Incidents, and fixed structures (e.g. location of Dispatch Center, PDs, FDs, and hydrants) make up the COP view. 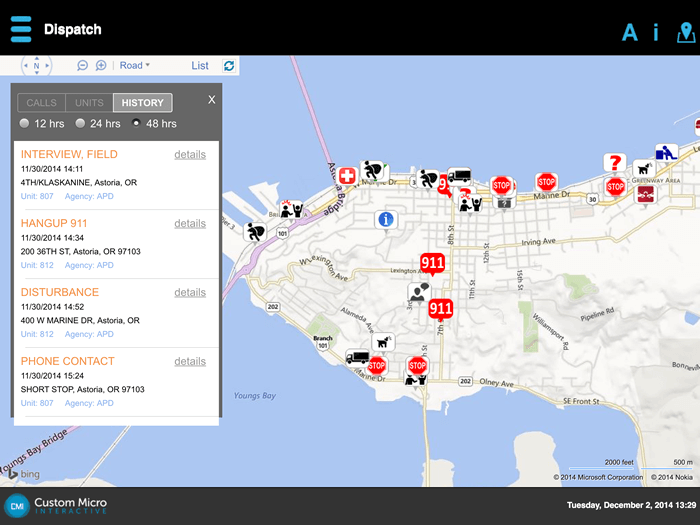 The COP view toggles within the App to switch between text-based or map-based display of Dispatch data. 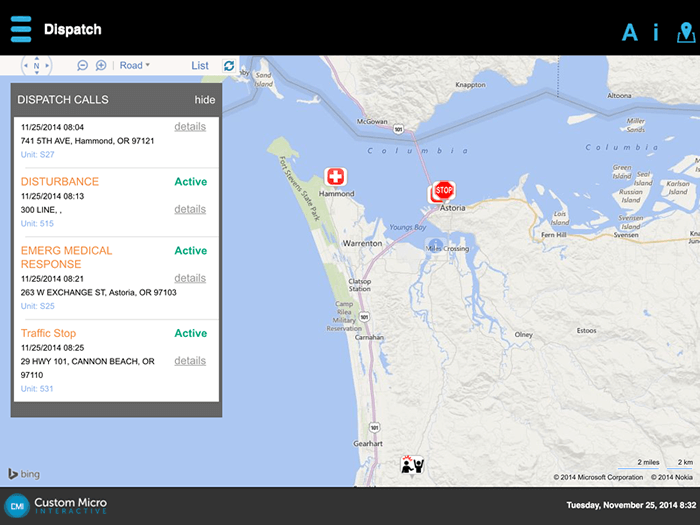 Dispatch Call location data dynamically is added to the COP view as the Dispatch Center updates CMI Justice. Assigned Units automatically are added to the COP view when assigned. Filtered views of the COP show for agency specific unique views for quick consumption of relevant information. Looking for Custom GIS Layers? External GIS data and layers can be configured to be shown within your map view. This includes custom layers that can be imported directly into JusticeConnect Server, or dynamic connection to show GIS details. Contact us for more information.